Chances are, you’ve tried peanut butter. You may have even tried almond butter or apple butter. 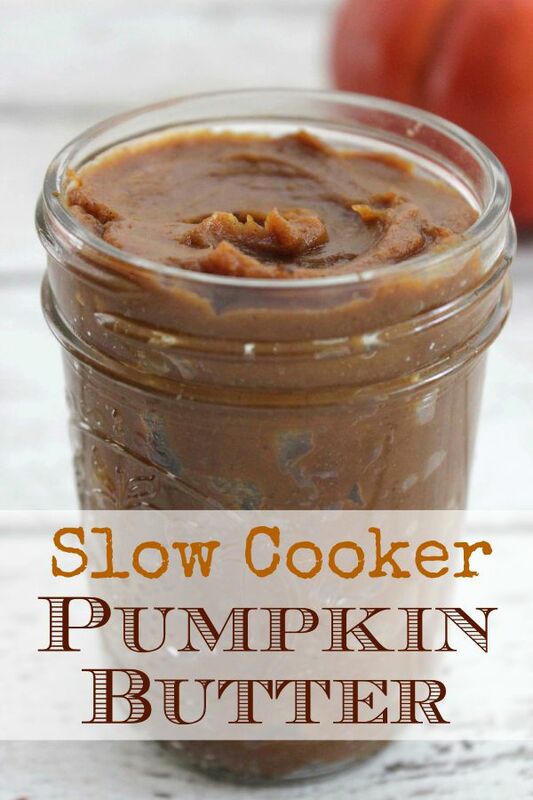 Have you ever tried crock pot pumpkin butter? If not, you should! The taste is absolutely perfect for fall. Use it to top crackers or as a dip for your favorite fresh fruits or vegetables. Who knows what yummy flavor combinations you can find? Plus, this Slow Cooker Pumpkin Butter couldn’t be easier to make. 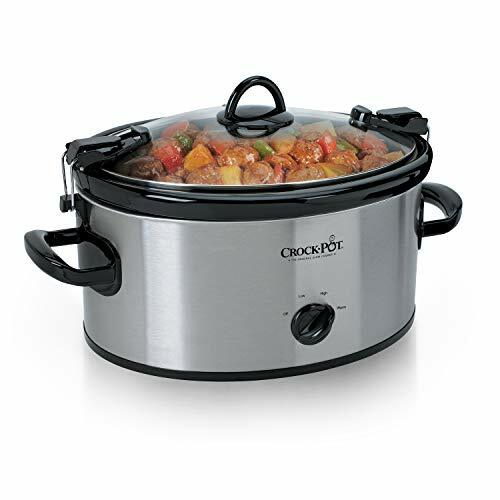 Simply add all of the ingredients in the slow cooker, cover and cook, stirring halfway through. Start it when you get home from work or on a lazy weekend afternoon, go about your day, and your delicious crock pot pumpkin butter will be ready before you know it. Will your family be carving jack-o-lanterns this year? 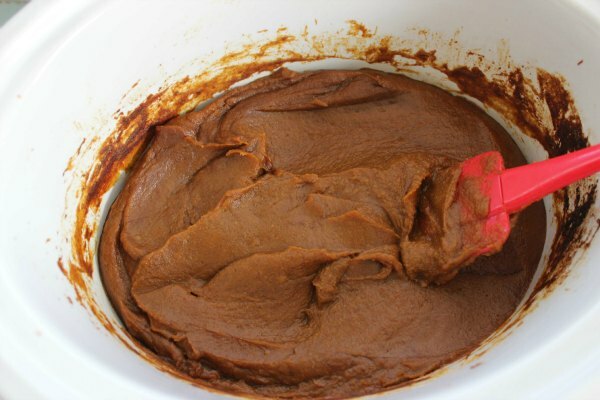 Save the inside of the pumpkin and use it to make this pumpkin butter along with any other crock pot pumpkin recipes your family loves. With the main ingredient already covered, this easy recipe is more affordable than ever. 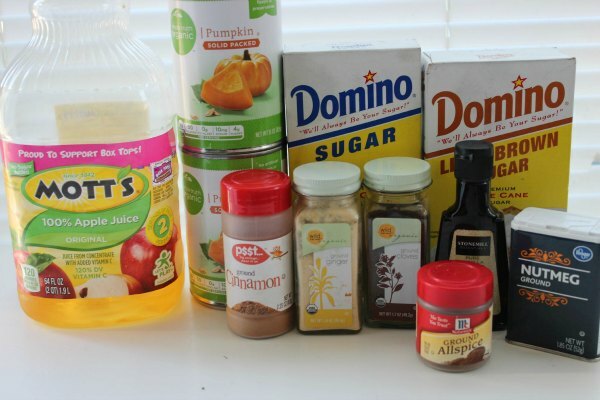 You may need to grab some apple juice from the store, but you probably have all of the other ingredients on hand already. Whether you’re looking for a healthier snack alternative or you simply love pumpkin in the fall, this Slow Cooker Pumpkin Butter is sure to please. 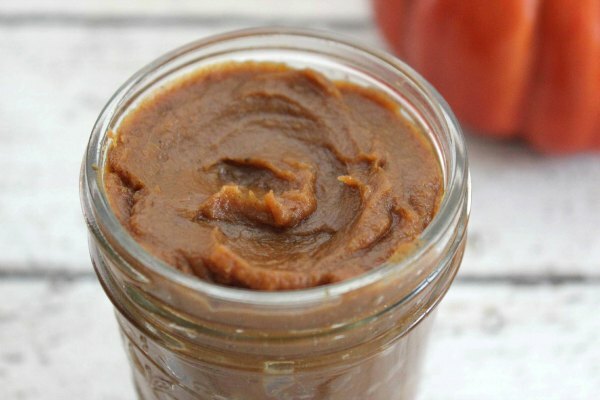 Grab the slow cooker and the ingredients you need and make your own pumpkin butter today! Remove lid, stir and cook for 1-2 additional hours until mixture has darkened and thickened. Turn off slow cooker and allow to cool. Transfer to jars and refrigerate. Do you leave the lid OFF during the second 2 hour cooking time? Can this recipe be canned with a water bath canning method? People used to can it, but it is no longer recommended. It is too thick, so the heat might not reach the middle, and is a low acid food, so it isn’t safe. It does freeze well.